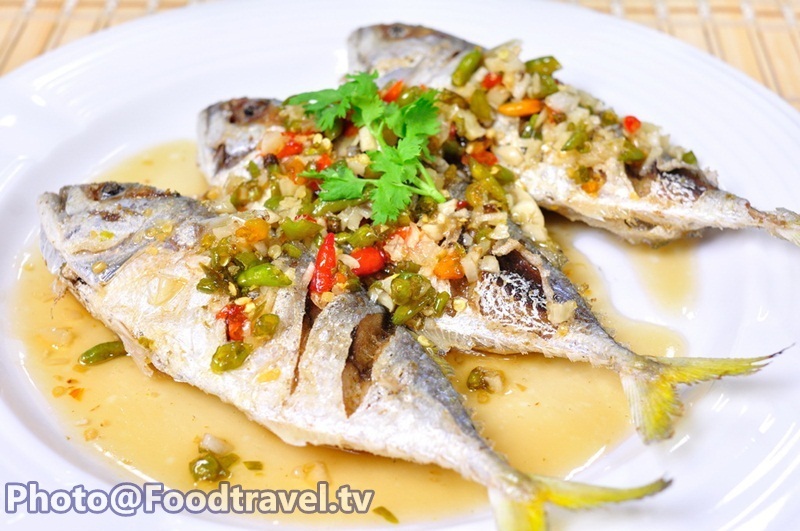 Deep Fried Mackerel Fish with Chili Sauce on Top - Fried fresh mackerel with chili sauce. 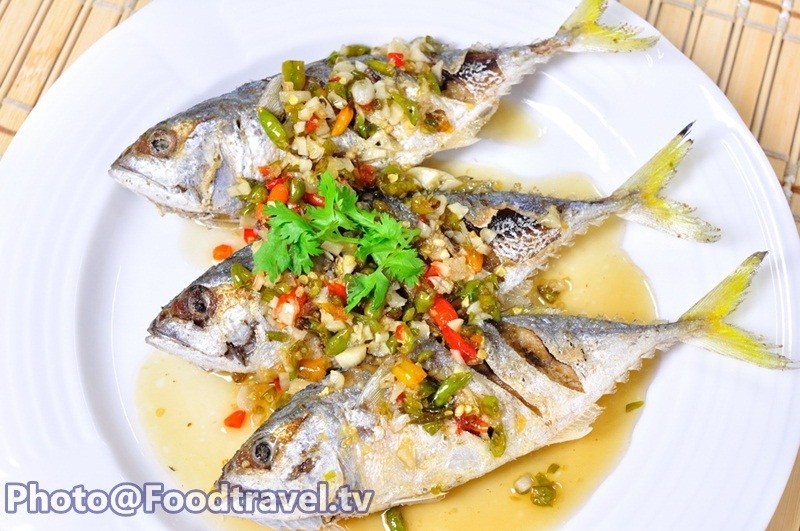 Pour with dressing sauce which have whole taste of sour, salt and sweet taste. This menu is delicious and not difficult to make at all. We want you to try. 1. Chop chillies and garlic coarsely. Cut off fish 3 strips on each side. 2. Heat the oil. Fry fish until crispy. Bring up and drain dry. 3. Fry peppers and garlic with oil. Add palm sugar, fish sauce, vinegar and stir well. Then pour on fried mackerel fish. Finished, ready to serve.